When you’re trying to finally buy a new home for yourself or your whole family, or when you’re simply tight on cash for any reason and you need to place a second mortgage on your home, one of the most common issues is determining a correct rate to expect. The hassles and difficulties of properly assessing how your mortgage deal will most likely look like are so intimidating, that some people would rather just pay a consultant or their lawyer to do the research for them and get it over with. But with enough patience and a guide post such as this website, you’ll be able to gather enough information and understanding in order to navigate that maze more successfully. 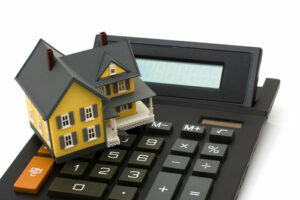 Here is what you need to know regarding specifically calculating your monthly payments. 1. Zillow Mortgage Calculator: This tool is one of the most popular on the market, currently, helping you estimate at a highly accurate rate how much you can expect to pay for the monthly mortgage payment, including your taxes and insurance. You simply submit the data (the overall value of the mortgaged property, the initial down payment and interest rate) and you’re done. You can use Zillow here. 2. A basic home loan calculator: This tool helps you better estimate your future expenses with any type of home loan (and even loan per se), not just classic mortgages. This is the loan calculator we like best, and if you’re lending money instead of borrowing it, it helps you calculate the expected pay-off as well. 3. A mortgage refinance calculator: Another great tool specifically designed for estimating refinance mortgages can be found here. We think this is the most advanced house payment calculator currently online for anyone juggling multiple loans and payments. 4. A VA loan calculator: Finally, the last link in our resource round-up is another free calculator tool, but one specifically targeting VA loans. It’s as easy to use as any short fill-out form you’ve ever encountered and by using it, you can make sure you know exactly what to expect from your future payments. If you have any questions regarding mortgage issues or you need advice on the matter, don’t hesitate to ask us a question. In the meanwhile, also feel free to browse around our latest articles covering recent topics of housing and real estate financing.